Thank you for your interest in Trillium Dental. Trillium Dental’s professional teams dedicate themselves to empowering patients with the knowledge required to make informed decisions about their oral health. Trillium Dental remains committed to increasing awareness about the importance of oral hygiene and how it is beneficial to complete health. Our commitment to our patients is demonstrated by providing premium services, respectful healthcare environment, dedicated professional team members with an unparalleled commitment to patients, comprehensive treatment plans and team-based approach to oral care. Join the Trillium Dental Team! Certified Dental Assistants: Dental Assistants offer support to dentists by performing tasks such as sterilizing instruments, preparing patients for treatment and educating patients on oral care. Registered Dental Hygienists: Dental Hygienists specialize in performing dental exams and cleanings. They mitigate tooth decay and treat cavities. They also educate patients on dental hygiene and preventive dental care. Dental Administrative Staff: Dental administrative staff performs clerical duties such as scheduling appointments, registering new patients, updating dental records and providing receipts for payments among many other duties. An office administrator or receptionist coordinates the front office with the clinical staff. We are always accepting resumes for ongoing opportunities. Trillium Dental is currently looking for an Associate General Dentist to join our team of professionals in Ottawa and contribute to our growth! We are looking for a General Dentist, with great interpersonal skills, great clinical skills, and must be proficient in all aspects of general dentistry. The ideal candidate will positively contribute to Trillium Dental’s performance by providing the highest standards of quality dental care for our patients in a stress-free, safe and productive environment. New graduates welcome. 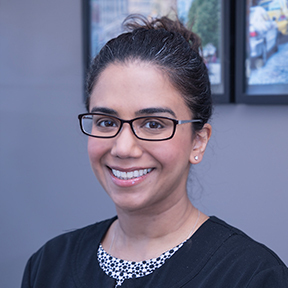 Trillium Dental's professional teams dedicate themselves to empowering patients with the knowledge required to make informed decisions about their oral health. Trillium Dental remains committed to increasing awareness about the importance of oral hygiene and how it is beneficial to complete health. Our commitment to our patients is demonstrated by providing premium services, respectful healthcare environment, dedicated professional team members with an unparalleled commitment to patients, comprehensive treatment plans and a team-based approach to oral care. Our team members enjoy a healthy work/life balance with unmatched growth, development opportunities, and consistent bookings plus a steady flow of new patients. Trillium Dental has an immediate opening for a full-time, experienced Dental Office Administrator to join our team at our clinic located in Westgate Mall. You will positively contribute to Trillium Dental's performance by providing the highest standards of quality dental care for our patients in a stress-free, safe and productive environment. The ideal candidate will have excellent interpersonal skills, very good telephone demeanor, business-oriented, and outstanding customer service. Trillium Dental is looking to a hire a full-time enthusiastic and energetic Certified Dental Assistant to join our team of professionals. You will positively contribute to Trillium Dental’s performance by providing the highest standards of quality dental care for our patients in a stress-free, safe and productive environment. Ability to make patients feel comfortable and at ease. Trillium Dental is currently hiring a full-time enthusiastic and energetic Registered Dental Hygienist to join our team of professionals at our clinic in the Westgate Mall in Ottawa. You will positively contribute to Trillium Dental’s performance by providing the highest standards of quality dental care for our patients in a stress-free, safe and productive environment. Our team members enjoy a healthy work/life balance with unmatched growth, development opportunities and consistent bookings and new patient flow at all 8 of our locations. Excellent interpersonal and communication skills; written and verbal, an ability to make patients feel comfortable and at ease. Trillium Dental is currently accepting resumes for part-time Registered Dental Hygienist's to join our team of professionals at our clinics in and around Ottawa. You will positively contribute to Trillium Dental’s performance by providing the highest standards of quality dental care for our patients in a stress-free, safe and productive environment. Our team members enjoy a healthy work/life balance with unmatched growth, development opportunities and consistent bookings at all our locations. If you are interested in joining our dynamic team of professionals, please send your cover letter and resume to hr@trilliumdental.ca.